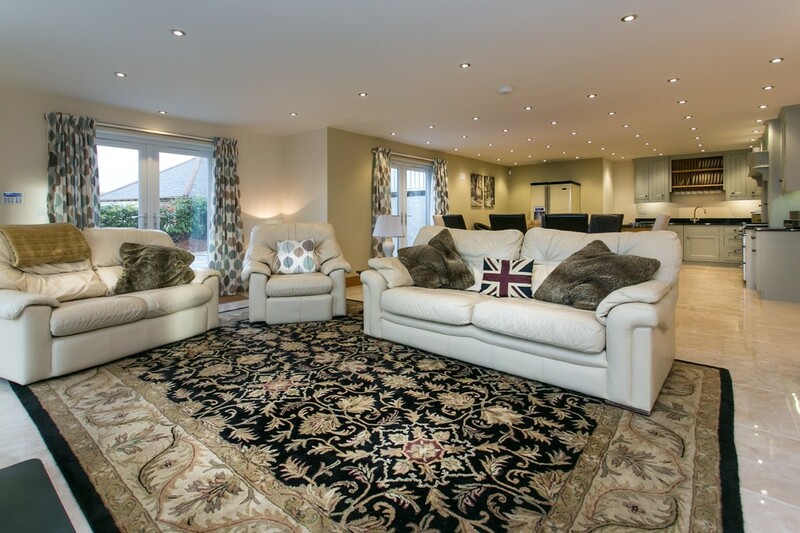 Sale of a stunning detached lodge which we believe was originally built circa 1905. In recent years the vendor has substantially extended and comprehensively renovated the property to an exceptionally high specification. 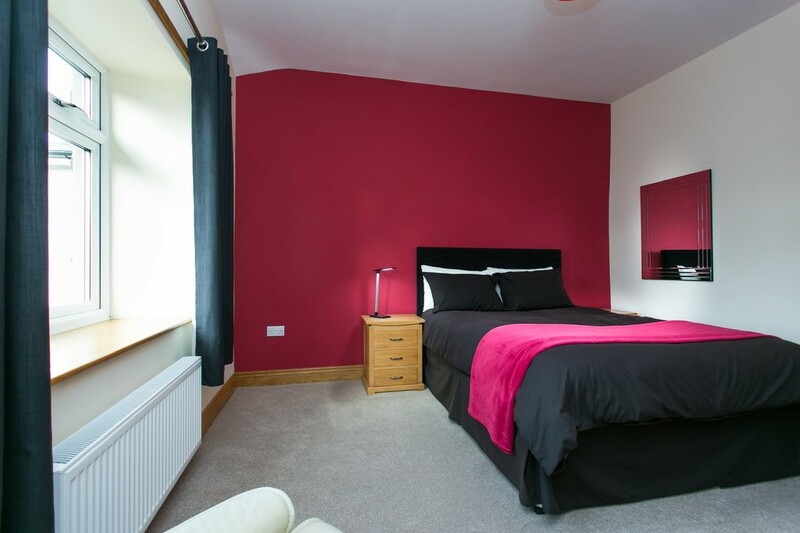 The immaculately presented and well proportioned accommodation provides four superb double bedrooms, of which two boast en suite facilities. Additionally there is a highly desirable house bathroom. The upper floor to the new wing of the house is made up of the master suite and sitting room, whilst the lower ground floor is dominated by the fantastic and enviable kitchen diner day room, all of which benefit from under floor heating and Sonos surround sound. 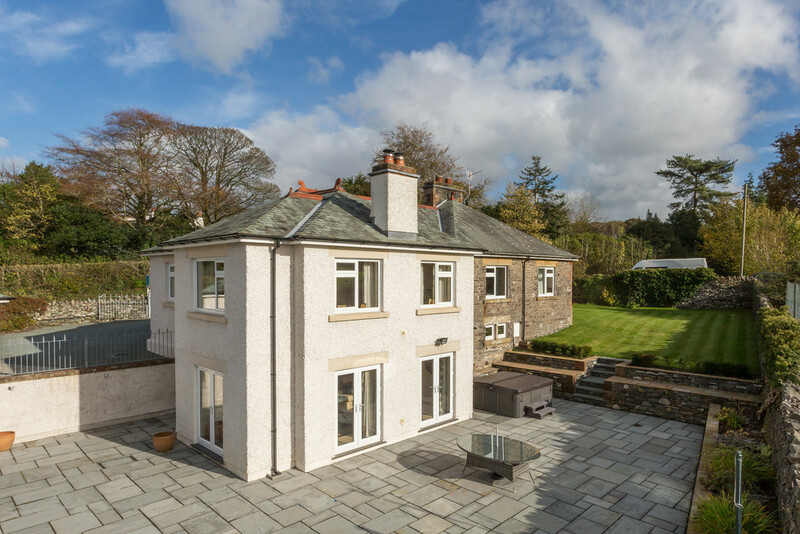 The kitchen day room is the focal point of the property being a stunning and sociable area, enjoying four patio doors leading to the substantial terrace, ideal for entertaining. 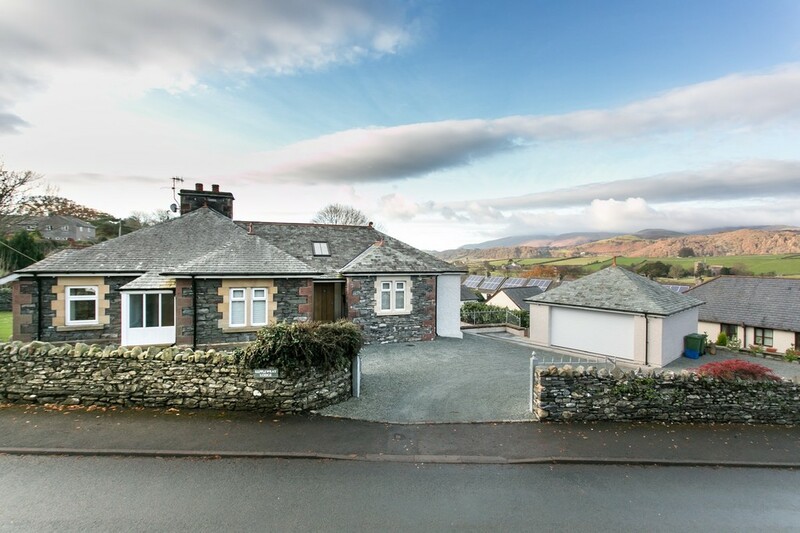 Nestled in a peaceful and unspoilt south west corner of the Lake District National Park in the picturesque village of Broughton-in-Furness which borders the Furness and Lakeland fells as well a the Duddon Valley. 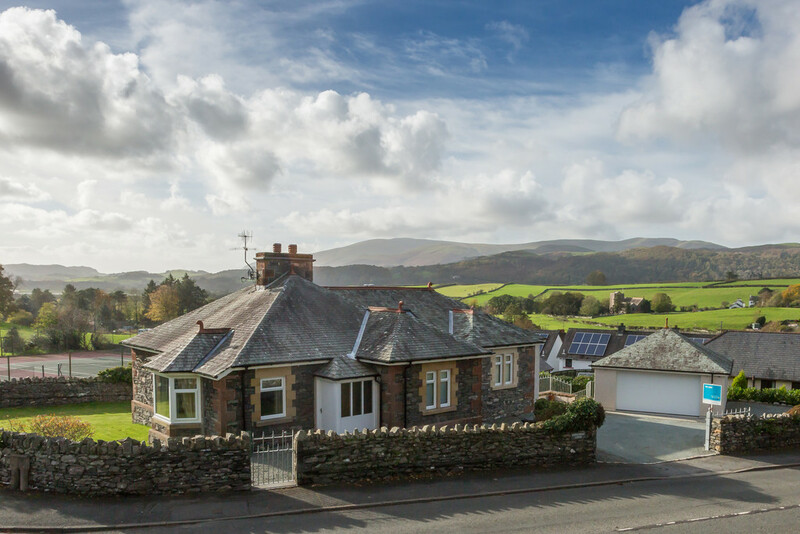 Located on the edge of this highly popular market town, in a gently raised position which enjoys far reaching, south facing country views across the rooftops of the village towards Black Combe. The property would be suited as a fine main family residence or an equally ideal holiday retreat, as it is low maintenance and has manageable gardens. 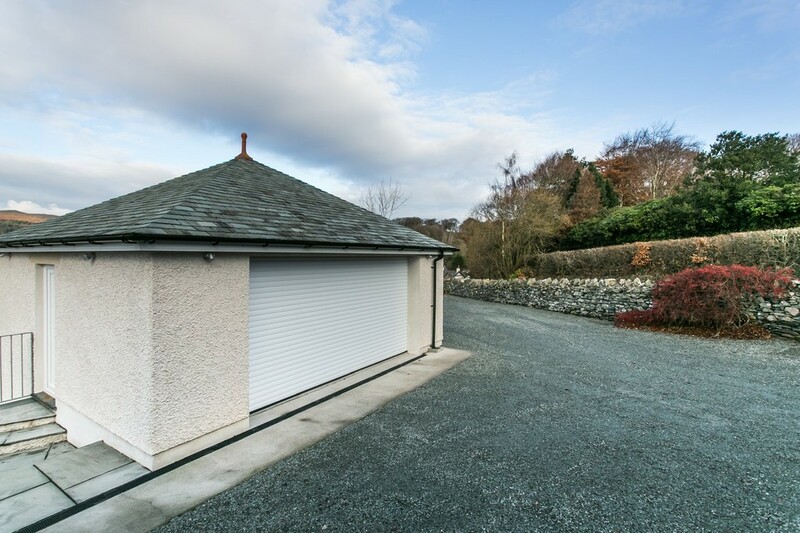 Kepplewray also benefits from an excellent double garage and generous off road parking. Directions Approaching from the M6: leave the M6 at junction 36 and follow the A590 west (signposted Barrow) to Greenodd. Turn right onto the A5902 through to Grizebeck and take the A595 to Broughton-in-Furness. As you approach the village from the east, the property is opposite the primary school before preceding don the hill into the village on the left hand side. 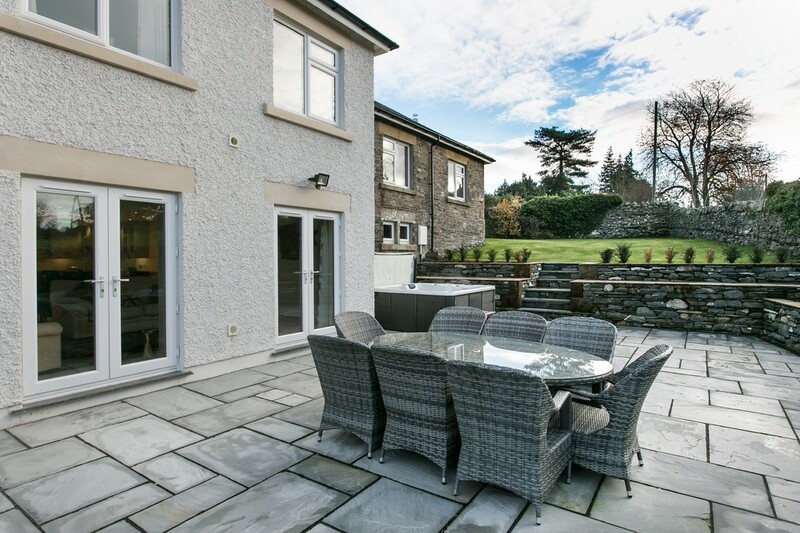 Accommodation Lakeland stone steps lead up to a welcoming open porch with an oak front door. Leading into a wide landing/hallway with an impressive vaulted ceiling and a Velux window, flooding this open space with natural light. 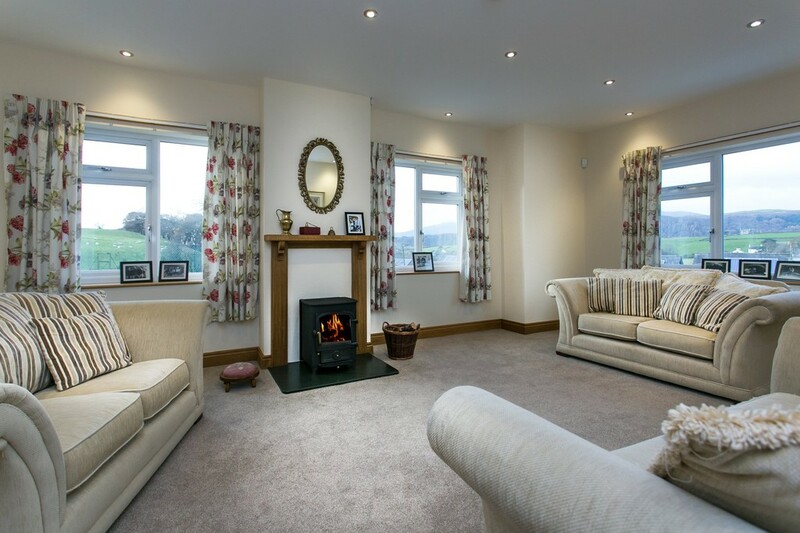 Complete with attractive views over the surrounding countryside. 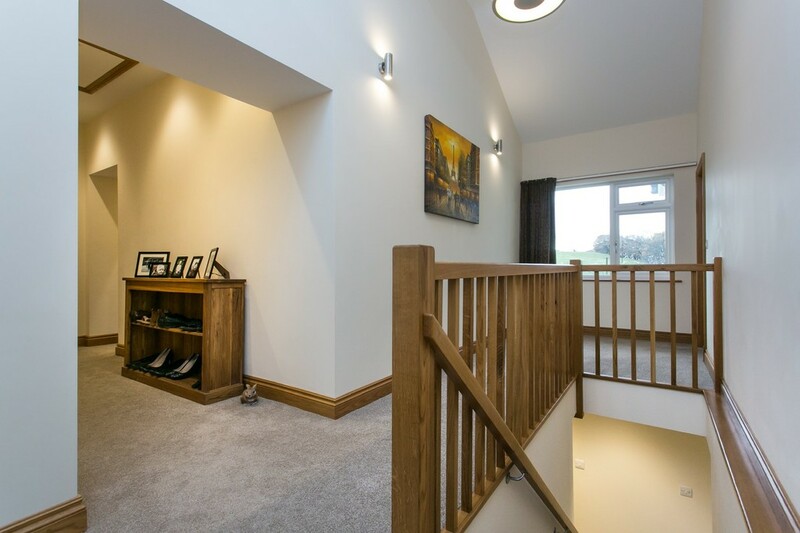 Feature oak staircase and bannister rail leads down to the lower ground. The entrance hall also features a highly useful cloaks cupboard housing the fuse box etc. Loft hatch with pull down ladder leading to partially boarded attic, housing the water cylinder and providing an excellent storage facility. Sitting Room 20’6 x 15’11 (6.26m x 4.85m) Off the main entrance hall is an inviting, light dual aspect room with a multi fuel stove set on a slate hearth and oak mantel. 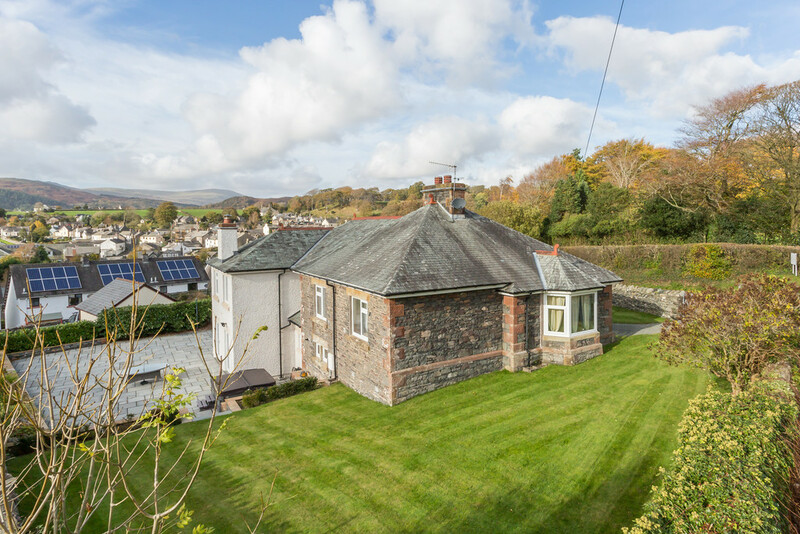 From the large picture windows are terrific south west facing views across the rooftops of Broughton towards Black Combe and the surrounding fells. TV point and underfloor heating. 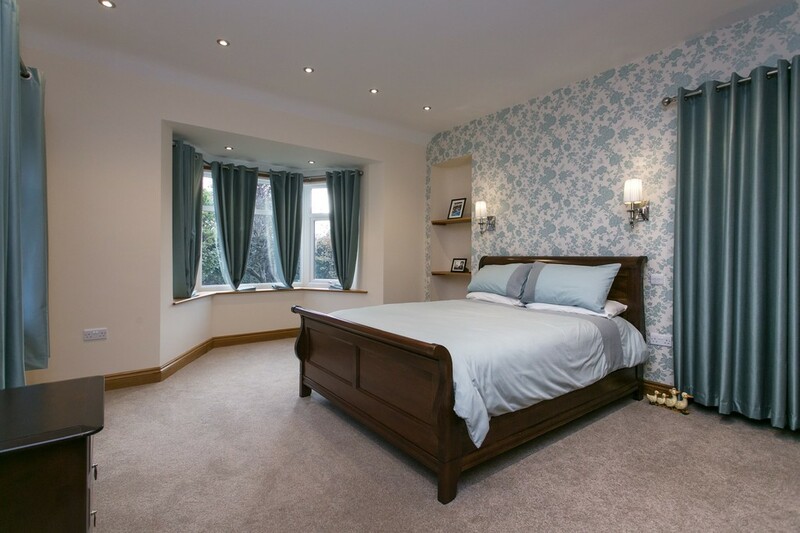 Master Bedroom Suite 16’10 x 12’6 (5.14m x 3.80m) An excellent double master suite with pleasant country views over the village towards the surrounding countryside. Complete with twin His and Hers walk in wardrobes, TV point, inset ceiling lighting, under floor heating and Sonos surround sound. 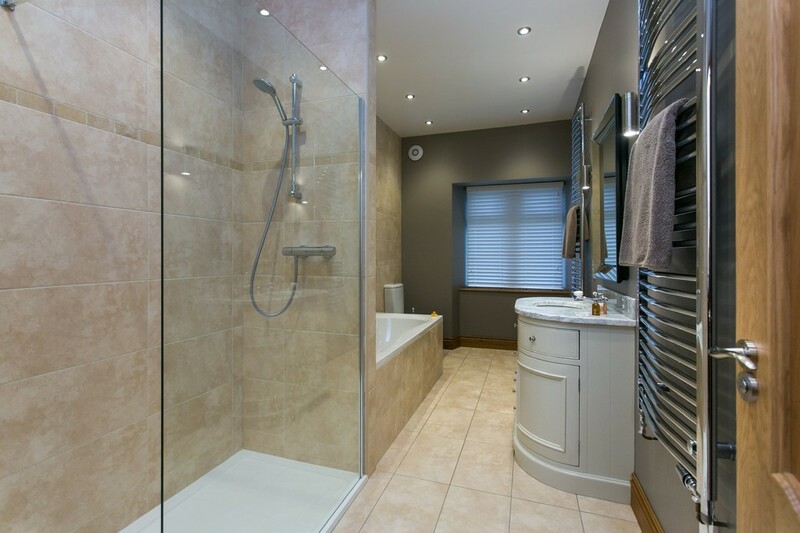 En Suite A stunning, contemporary four piece white suite comprising of Duo bath, double walk in shower cubicle with large shower head and additional shower attachment, WC and vanity wash hand basin. 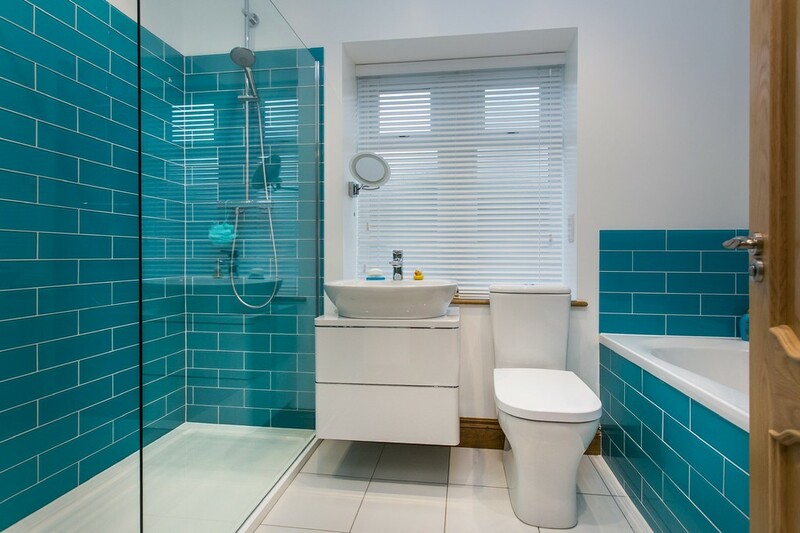 Partially wall tiled with striking feature tiles and fully floor tiled with under floor heating, heated towel rail and extractor. 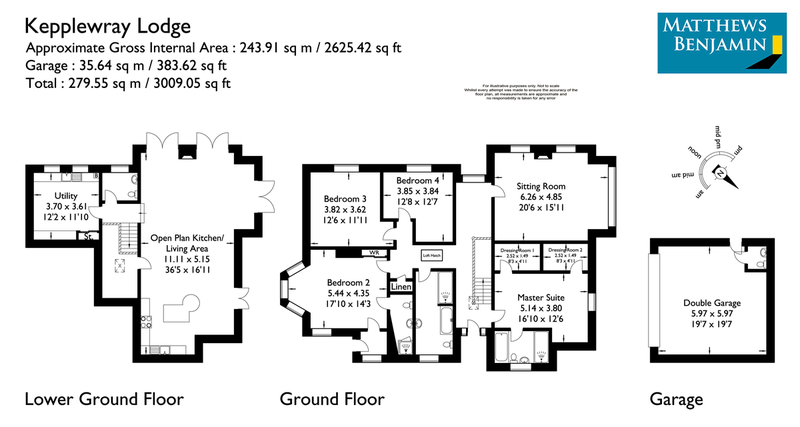 Bedroom Two 17’10 x 14’3 (5.44m x 4.35m) A generously proportioned double room with feature bay window enjoying a pleasant aspect over the garden. Recessed oak shelving and recess wardrobe area. Featuring a porch and external door, as this room was formally the original reception room before the extension. 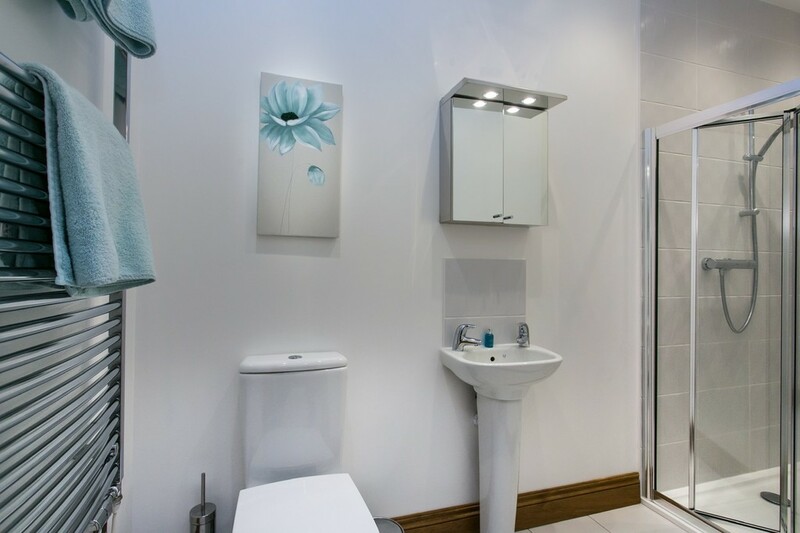 En Suite Three piece white suite comprising of a shower cubicle, pedestal wash hand basin and WC. 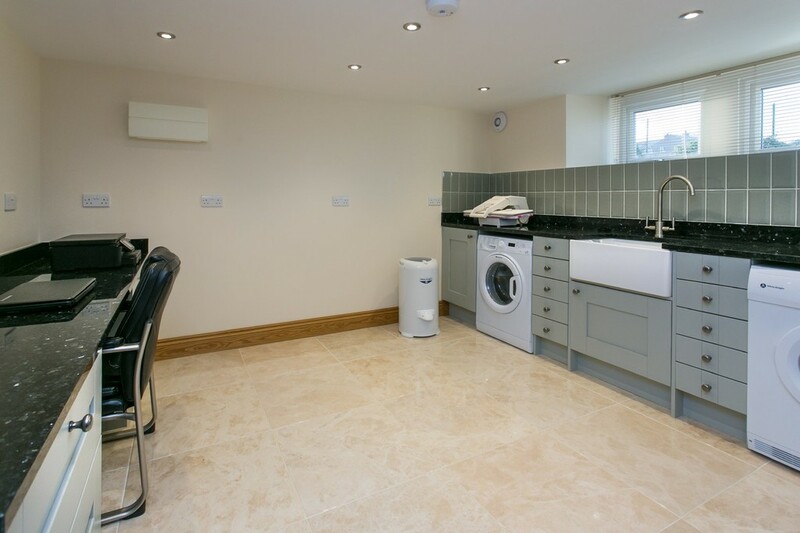 With heated towel rail, fully floor tiled, partially wall tiled, with extractor fan. Bedroom Three 12’6 x 11’11 (3.82m x 3.62m) A good sized double room, with attractive views over the garden to surrounding countryside and Black Combe. 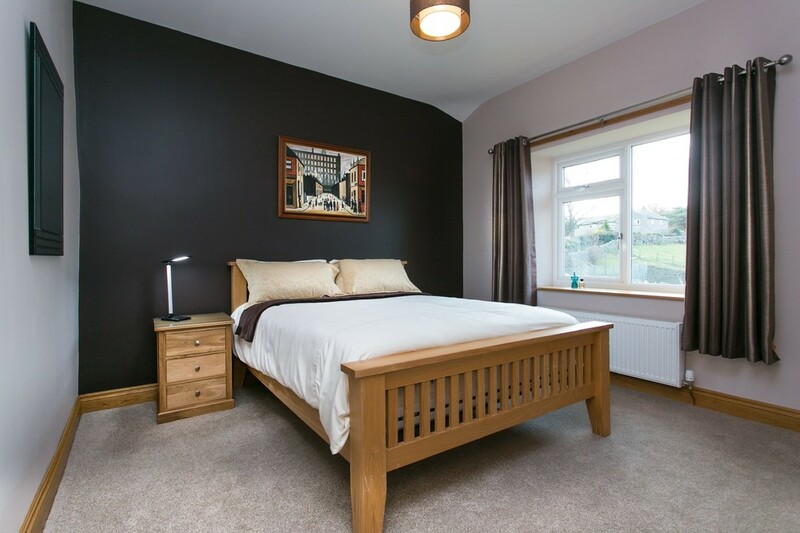 Bedroom Four 12’8 x 12’7 (3.85m x 3.84m) An L shaped double room with TV point and attractive views over the garden to surrounding countryside and Black Combe. House Bathroom A superb and generously proportioned room with four piece suite comprising of a Duo bath with mixer tap, WC, double shower cubicle, and vanity wash hand basin with mixer tap and marble surround. Twin heated towel rail, extractor, electric shaver point and fully floor tiled. Oak stairs lead to lower ground floor. 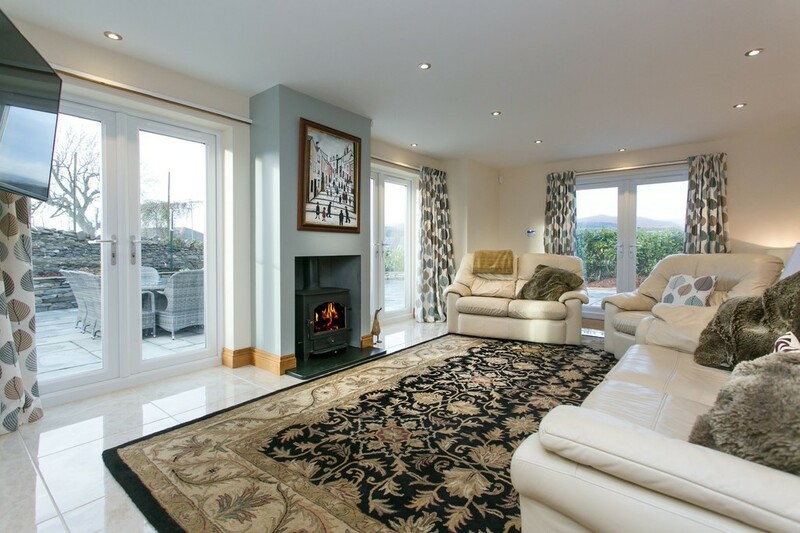 Stunning Open Plan Kitchen/Living Area 36’5 x 16’11 (11.11m x 5.15m) A fabulous light and airy dual aspect room with a multi fuel stove set on a slate hearth and a superb fully tiled floor, with a gloss finish and underfloor heating, making the ideal entertaining space. Four double patio doors lead on the external patio, spanning 209 square meters, and perfect for alfresco living. 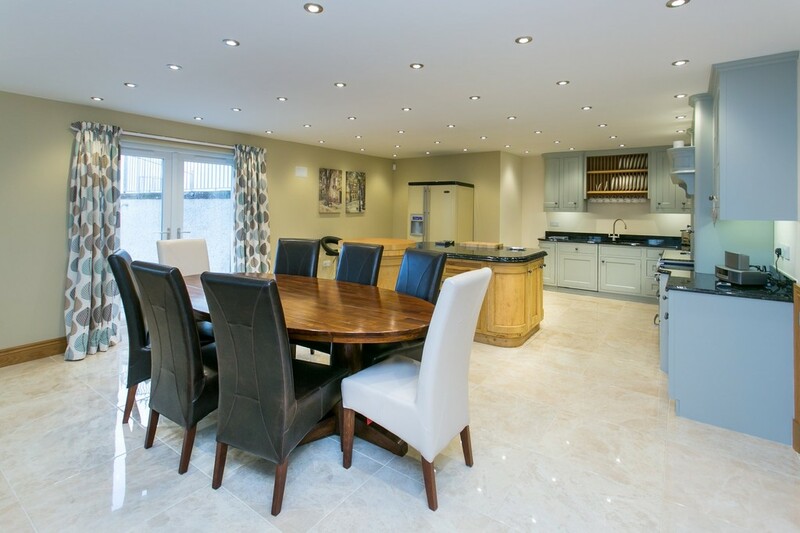 The stunning high quality Webb’s kitchen has a modern selection of wall and base units, including useful display cabinets and plate rack, finished with granite worktops and splash back. Stainless steel sink with mixer tap. Appliances include an integrated dishwasher and large electric oven and electric grill with gas hobs. 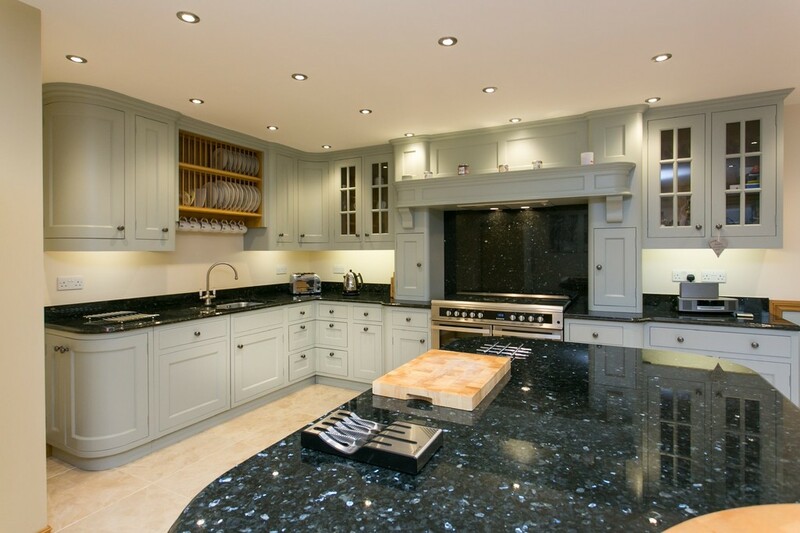 A central feature island has a combination of oak and granite worktop. There is ample space for a large dining table. There is also a large useful under stair storage space. 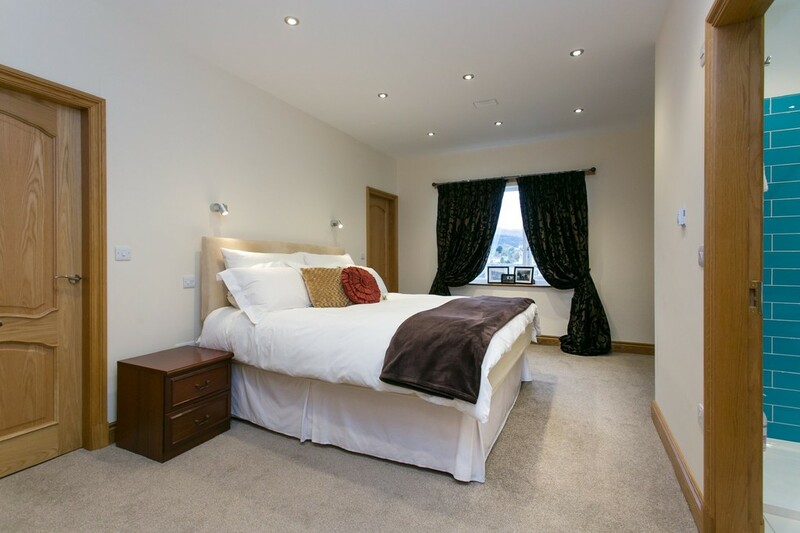 The room also benefits from a TV point, an array of fitted spotlights and "Sonos" surround sound, along with views over the village and surrounding countryside whilst being pleasantly private. Cloakroom With WC, vanity wash hand basin, tiled floor and extractor. Office/Utility Room 12’2 x 11’1 (3.70m x 3.61m) A selection of base units with a granite worktop and Belfast sink with mixer tap. Whilst there is a granite worktop acting as a desk. Part wall tiled and cupboard concealing the wall mounted Worcester boiler. Outside Approached via a private gated graveled drive with generous parking facility. Additionally there is an excellent detached double garage with electric sectional roller door and useful side door. With separate WC with wash hand basin. 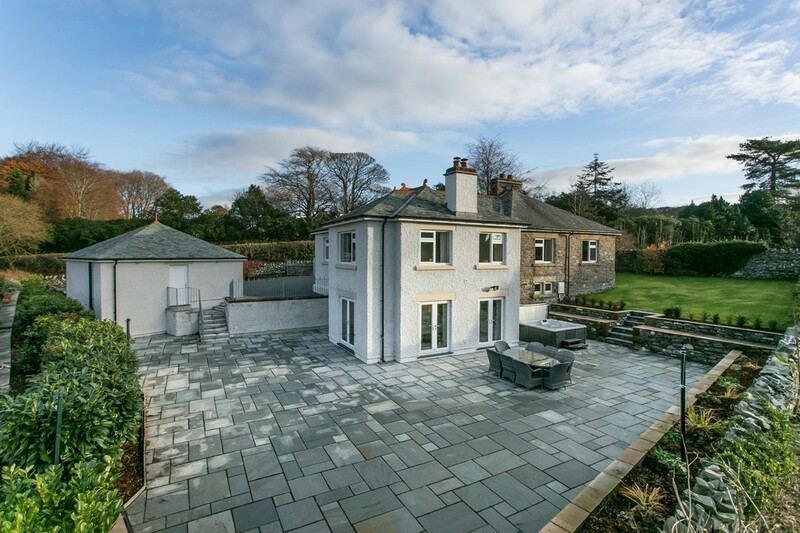 The property is set with in an attractive yet low maintenance plot with foot paths leading to small lawn and substantial attractive paved terrace which is approximately 209 square meters. The terrace has is an array of raised flower beds and enjoys a south facing aspect with sensored lighting. Council Tax Band To be assessed.